A car garage in Derbyshire is focusing its efforts on restoration work specifically for the iconic Jaguar E-type classic car. 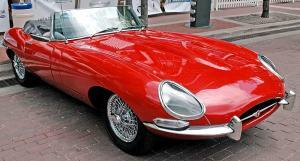 The British sports car has been driven by everyone from footballer George Best and Hollywood superstars Brigitte Bardot, Steve McQueen and Britt Ekland, through to comedian Peter Sellers and even International Man of Mystery Austin Powers. Now Ian Butlin and his sons, Glyn and Colin - who run the Butlin and Sons Classic Cars in Swadlincote - are building their reputation for renovating the classic cars. Highly sought after vehicles such as the E-type must be protected against damage and theft by any business selling or repairing them. A special road risks insurance policy might be required to enable mechanics to drive the car as part of the renovation work while a combined motor trade insurance policy is also necessary so the sports car is insured while it is on the premises. According to the Derby Telegraph, Ian Butlin, 68, and his sons work on Jaguars from across the UK, with some of the E-types now being worth as much as £150,000. As such, many people are now wanting to return the classic motors to their former glory, and the garage says it has gained a strong reputation because it allows the owners to be involved and see the progress of the work as projects advance. Glyn noted a drawback of this approach: "At the moment, we are struggling to cope with the amount of work we have but that is possibly down to the personal service we offer our customers." Nevertheless, he asserts that the cars are a "pleasure to work on" and that business is booming as demand is increasing for these rare vehicles.